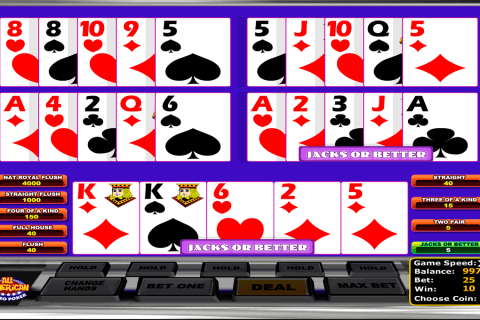 Video poker games with wild cards are highly requested by extreme gamblers to test their luck and skill. Deuces Wild by NetEnt seems to be a decent example of what we are seeking for. To ensure our thought, we should take a closer look at this game. 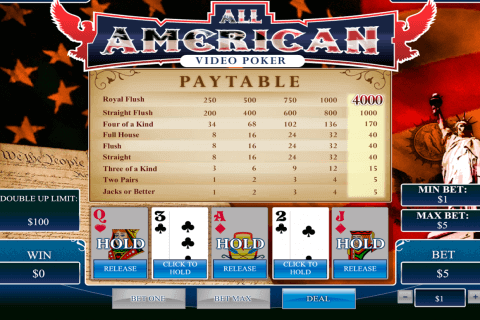 Basically, it is a free video poker played with a standard deck plus a wild card implemented, which is a deuce. The wild card will substitute for other cards to build or improve the winning combinations. For example, it will improve a pair into three of a kind. 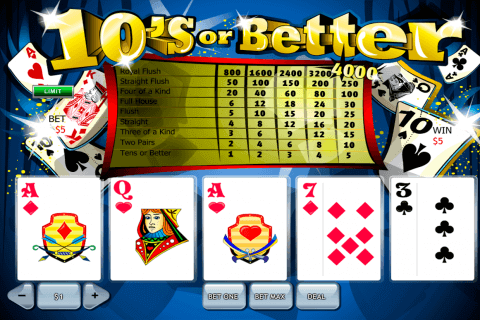 To start playing the game, you should choose your bet and a number of hands you want to play, which can be 1, 5, 10 or 25. Therefore, you should press the central ‘Deal’ button. You are then dealt five cards which can be held or discarded in according to what combinations may upcome. The next step is to press the same button which is now the Draw. All the discarded cards will be changed for newly drawn ones in all the hands. Every hand is drawn from an independent deck. The combos different hands will stack and are paid a sum. 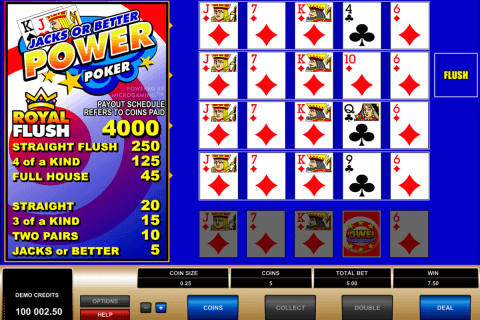 The doubling gambling feature is a common thing for video poker. In this particular case, the game offers you to guess the suit color of a card to double up your winnings. You can double up to five times in a row if you’re lucky. You can also collect at any point. It is possible to reach the online casino limit for a certain game, but impossible to go further with this feature. The RNG for this bonus round is not that satisfying but it was not supposed by the developers to give away free coins. Deuces Wild by NetEnt is a pleasant game with gorgeous graphics and animations, big space for strategic variations and good payout for 25 hands. However, the RNG is definitely not the best and this game is better to play for fun rather than for real. It requires no download so there are no obstacles for you to try it.